Express OC Auto Glass has spent the past ten years delivering the best car windshield replacement services offered in the greater Yorba Linda area at some of the most competitive rates. We are a small business who has been working in the auto glass field for more than 10 years. 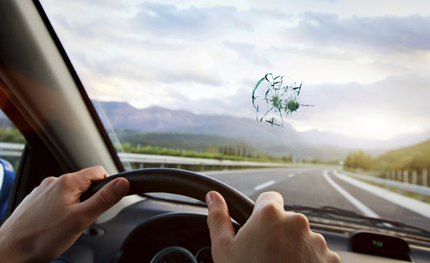 We have consistently made customer service our company’s number one priority since opening our mobile windshield repair service, and we ensure that our mobile repair teams complete each windshield glass replacement job correctly, and 100% in accordance with manufacturer’s specifications. We also stand behind our work providing a full warranty on all work we complete on your automobile, and we love to take care of our customers. For this reason, when you go to compare pricing and service reputation across all auto glass repair facilities in Orange County, you will find that not only are our prices very competitive, but that our reputation is second-to-none. Our dedication to our customers is what has made us a business success over the last decade, and you will be amazed at how friendly our service technicians and customer service representatives are when you work with them. We have always believed in treating all of our customers with dignity and respect, and we look forward to working with you. Depending on the type of vehicle that you drive, it will take our technicians between one and three hours to complete a full replacement service. Before we call the job complete, we will conduct a thorough walk through of the auto with you to make sure it meets your expectations. If you would like to call and discuss any specifics with your car glass issues, please feel free to give us a ring today. We will always go out of our way to give you a free quote on our work, and we look forward to making a service appointment for you today.